Get back into Asgard by allowing myself to be captured. Escape during the next convenient (chance or pre-arranged) chaos. But that little period of imprisonment between steps 1 and 2 required patience, and patience breeds… Well, you must have had the experience of that anxious period when you’re waiting for the fruits of something you were working on, and you just can’t help adding to it? Yes I’m dressed for the dance, but surely I could shine my shoes and sew fresh trim onto this jacket. Yes this dinner menu is sufficient, but surely there’s time to also make an apple pie, and cookies, and some quiche. You think, “I’ll add just another couple brush strokes to this landscape,” and next thing you know you’ve painted an entire town, with a train pulling into the station, and a tickertape parade. Seriously, Tess of the D’Urbervilles? This is bordering on cruel and unusual! They say a truly great artist knows when not to add to what is already perfect, but months in a box, months in a box surrounded by idiots, idiots who only give you a book a week because that’s how long it would take him to finish it, idiots who don’t even recognize a predator’s gaze when you snarl through the force field at them, idiots who… ahem, well, even the most supreme intellect succumbs to boredom’s urge to… overcomplicate. Just a little bit. Because you know what’s more fun than chilling in a dungeon? Chilling on a throne. The masks were my suggestion, to help keep mythographers from figuring out what species they’re related to. Can’t end the mystery. First off, don’t you just love the Svartálfar? 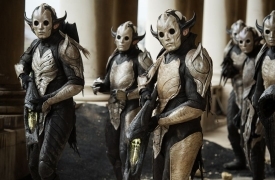 (That’s Dark Elves, for those not so good at pronouncing Icelandic.) Setting aside how hilariously confused Snorri Sturlson and the other saga writers are about them (Are they elves? Are they dwarves? Were they invented purely to irritate anthropologists? ), they’re so adorably simple! “We hate light!” Well, yes, all sensible people do, and the Aesir are jerks for having littered their tacky light-balls from Musfelheim all over the freaking cosmos, but instead of adopting a reasonable plan like, say, destroying the Sun, or tricking the Aesir into selling you the Sun and the Moon, or feeding them to wolves, the sort of plan a sensible*ahem*Jotun*ahem* individual might come up with, they come up with Operation: Destroy Everything. Including, you know, meat, and mead, and gold, and books, and conquerable peoples, and my most excellent boots (gotta looove my boots). But the Svartálfar have this absoluteness and simplicity to their motives that makes recruiting them for a plan so effortless it’s almost zen. Today I’ve prepared all my quips in dactyllic hexameter. Please somebody notice. Needless to say Svartálfheim is not where one goes for a rich Socratic dialog. I confess, the only times I usually trek out there are just to show off that I know where Svartálfheim actually is. All nine worlds are accounted for, so is it part of Alfheim? Nifflheim? Vanaheim? In the dwarven tunnels under Midgard? (Keep on stacking up those bribes, Snorri, and maybe someday I’ll tell you…) But Svartálfheim is totally where you send your illusory projection when you suddenly realize you can’t stand sitting in this damned box another day playing endless rounds of “Guilt Trip: the Confrontation” the with the Yawnfather. Get. Me. Out. Now. Svartalfheim: even more boring than Niflheim; at least there you can ice skate. By the way, it’s getting harder to maintain the weakening third person pretense of these reviews, so shall we drop it? I still maintain they’re “unbiased” because it’s only from the one being in the cosmos who knows what actually happened that you’ll get an accurate version. But it is so much easier to explain when I can say “I” and “me” and “my” and not couch things in roundabout phrasing. 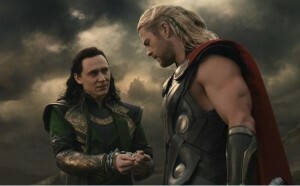 “No, Thor, I’m not playing it with you again… Because it doesn’t have any strategy; it’s not even a real game… Yes, I know it’s called “War” but… There’s no decision-making, it’s dictated entirely by the cards, how can you still not… Yes, yes I know it’s your favorite, but… No that isn’t what real wars are like! So, the ham-handed Svartálfar naturally wanted to just break in and actually free me. (And smash all their own ships while doing so: Smash! RAAAH!) It took quite a bit of talking to convince them to attack, free everyone except a certain someone, and count on a certain well-advertised transit monopoly to get my “captors” to release me themselves. This was easily the scariest part of the plan. No matter how great the efforts to advertise the transit monopoly, the whole thing hinged on the Thunderer thinking of something. For a while, waiting in the cell, it was an almost piercing paranoia: Will he not get it? Should I have hung neon lights in the sky reading “Only Loki Can Leave Asgard Without Bifrost!”? But in the end he was precisely as stupid as I predicted, no more no less, and off we shot! With the nice perk of getting to undermine the honor and trust everyone had in the Thundrer, and Sif, and all his friends, and, most deliciously, Heimdall. Heimdall commiting treachery… you know that’ll grate on his stony, laughter-killing heart a good, long time. Until the day I pierce it through. Most satisfactory. Oh, and Frigg had to go. I even had to direct the idiot Svartálf to her myself. But it was time. I can’t play Odin that convincingly, not well enough to fool her. Pity. I enjoyed Frigg. Aaaaaand, we’re off! Quick hop to Svartálfheim. (Note: it didn’t occur to Thunderer to ask me why my tunnel was set to go straight to Svartálfheim without passing go or collecting two hundred fallen enemies.) And now I get to savor the delicious triple-bluff pantomime of pretending to betray the Thunderer and side with the Svartálfar, only to suddenly reveal that I’m faking and help the Thunderer against the Svartálfar, who know the whole time I’m still with them, and then I get to pretend to get killed! And then there’s the Thundrer all sad, wid’ his widdle guilt in his widdle cudly heart, awwww. If course, I could’ve stuck with the Svartálfar a while longer, but they’re the types where if you say, “Can I have a lift home now, please?” they say “RIDE WITH US TO DEATH AND DESTRUCTION! RAAAH!” and you say, “On second thought I’ll walk.” Easier to go it solo. But here’s where the ornamentation born of my impatience gets a little tangled. I have business in Asgard but there are now Svartálfar running around, and Svartálfar are such short-term thinkers, not a tool one really wants to keep in hand during the long haul, and certainly not a group one wants to let succeed. They must be dealt with. Never trust someone who says “Yes” to an unpaid internship. Projecting myself in the persona of Ian the intern is, I confess, another of these ornaments that the plan probably could’ve done without. But I was so bored, and it was so fun wriggling my way in so close to the Thunderer’s girlfriend-pet-thing whatever he thinks she is. 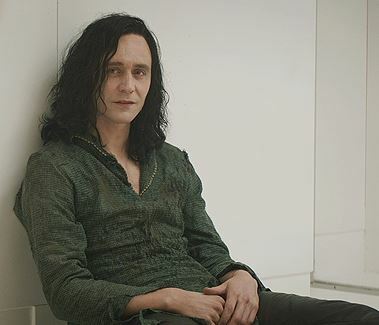 Sure, I coudl’ve just used good old Dr. Erik “Pants-less” Selvig to do everything I needed, but it was so much more entertaining to let him think he was free of my control, but then taunt him, from the inside, and from the outside as “Ian” and see how long it would take his non-negligable human intellect to snap like a mundane chain trying to hold a certain puppy. I may have overdone it a bit with Erik. No. No, it was perfect. Stonehenge was hilarious, and Tony did a great job having his Jarvis collect all the Youtube footage for me which I’ve been basking in between bouts of having to pretend being the Un-fun-father. But the real fun was seeing how unscientific a conclusion I could lead Erik to without him realizing we weren’t in scienceland anymore. I just had to lead him to the random spot I’d told the Svartálfar was the right place to set off the Great Red Macguffin. I could’ve, you know, concentrated gravitational waves there, or made an illusory portal appear, or put weird lights moving across the photos taken by Hubble to make it look like a space thing was aimed there, but it was so much more fun scattering the clues around Stonehenge and other randomly selected ancient rocks. Yes, Erik, draw an X between the henges, that’s totally science. Ian the intern totally agrees. Of course, one must get one’s hands on the Big Red Macguffin, but one must not seem to get one’s hands on the Big Red Macguffin, or people may start to talk. So first one sends in the person least likely to be helping with a sinister plan: Thundergirlfriend! Spacial instabilities are easy enough to arrange, enough to attract Team Thunderscience, and then it’s easy enough to whip up a portal to the hiding place of the ancient all powerful weapon which no one bothered to actually set a guard on (Is Asgard ready for a regime change or what?). Of course, as soon as she got to the place where the distortions were she got so distracted by the kids and cute, I thought she’d never wander in the damned portal… had to have “Ian” accidentally lose the keys to keep her there. Don’d mind me and my incredibly sophisticated space technology. It’s so easy it’s not even really worth calling it subeterfuge. That was the beauty of “Ian” you see. In that form, I could do anything. No one would suspect. And it was so plausible to have any technology I might need (“Oh, I don’t know what it does, I didn’t make it, I don’t know anything, I’m just an intern, dum-de-dum”) and no one would even ask! And I could be on the internet doing anything science-looking or math-looking, or even beyond, and they’d just assume it was either work or some kind of videogame. Even if someone looked over my shoulder and asked “What are those equasions?” or “How come that looks so much like the S.H.I.E.L.D. Mainframe?” or “Why are you text chatting with someone called SexyStark4evR and why do they keep calling you ‘master’?” I could just say “It’s a World of Warcraft thing,” and they’d never ask again. I gave Tony carte blanche to divert S.H.I.E.L.D. as he liked, with no command beyond “Entertain me.” He took that one to heart, and has a mind which knows how to make the best of fleeting opportunities. There was this Great Conjunction bringing Nine Worlds into alignment: just the sort of circumstance to make S.H.I.E.L.D. 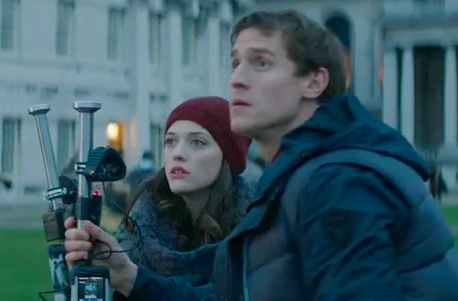 perfectly distracted, if it’s brought to the attention of S.H.I.E.L.D.’s enemies. It was clearly established that Asgardian troops had just restored a fragile peace in vulnerable-little-village-infested Vanaheim. A little push of HYDRA attention that way and Captain Flagpants couldn’t unpack his star-spangled space suit fast enough. That left the Thunderer. As ever, the Thunderer. Must protect convenient emotional button-pushing device! I mean, human! Using “Ian” to push Thundergirlfriend to push Thunderer made it easy enough to make him pull his weight in eliminating the last Svartálfar before they could actually (shudder) destroy all the meat and mead and gold and books and conquerable peoples. Self-stacked deck defeated. And as a bonus, since it’s been a while since my New York invasion, Midgard got a fresh reminder reminder that the universe is teeming with monsters, Midgard is not prepared, and its Human defenders are useless, but we grand, divine Asgardians can protect them, we alone. Must get these humans ready to embrace my rule. 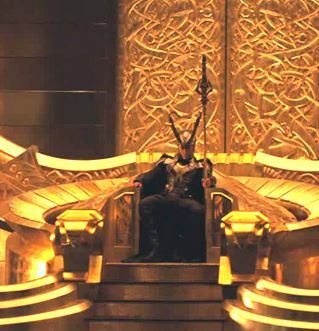 As for the Thunderer, I couldn’t have him wandering Asgard with me on the throne, any more than I could have Frigg around. It’s not that I thought I couldn’t deceive him, it’s that there are those idiot friends of his who’re pushing for him to take charge away from daddy, and a rival power base is… an inconvenient complexity. And he’s irritating, and it would be so tempting to… tease. Mustn’t let myself get distracted. But he’s too valuable a blunt instrument to just destroy. Banishment might make him, or others, try to reverse it, so the ideal was to get him to banish himself. The treason of freeing me got him thinking he deserved it, then a few choice reminders of his own incompetency compared with the Mirror of Princes that is yours truly, was the starting wedge. I didn’t even have to drive it home, though. Thundergirlfriend did that, plus the pathetic plight of the defenseless humans flattering the Thunderego into thinking he could do something valuable by living among them as some condescending protector. Cute. He really is too cowardly to be a sovereign. Realizing it may be the first slightly smart thing he’s ever done. Hm… maybe a TV tray too? So now the prelude is complete, Midgard is freshly cowed, the Thunderer is gone, his friends are discredited, two Power stones are nicely under my control, and I’ve finally got reasonable quarters as I wait for the real first stage of my plan to get going. Most satisfactory. Only one thing went genuinely wrong: stupid Svartálfar smashed Odin’s throne! I’d been waiting to sit in that damned throne again for so long, and you go and smash it! I was so pissed when I got back to find a pile of rubble. Oh, well. At least the new one I designed has a more comfortable seat, and swivels, and has wi-fi, and a little screen in the arm rest so I can text with Tony during these endless valkyrie status reports. 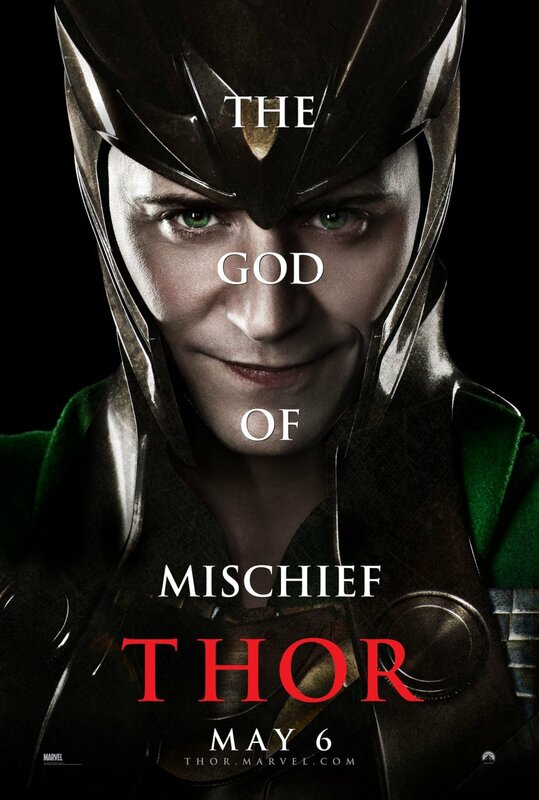 *When the Lord of Asgard sleeps he sleeps The Odinsleep; when the Lord of Asgard chats he chats TheOdinChat. Must keep up the pretense. 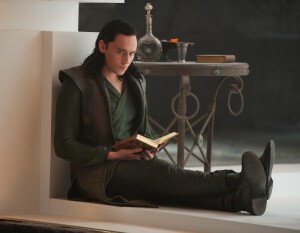 And that is the story of how I walked effortlessly out of prison, saved Asgard and the universe from a danger I created, awoke and then defeated one of the great ancient rivals of Jotunkind, seized two Power Stones, crippled S.H.I.E.L.D., put my newest servant through his paces, further opened humanity’s eyes to the truth about aliens and gods that their leaders have been conspiring to hide, shattered Heimdall’s honor, tricked the Thunderer into banishing himself, seized my rightful throne, and finally faced my first truly worthy opponent: myself. Not bad for a plan I came up with in one night in a fit of boredom. I shall now accept applause.